May 4, 2006  Passionate hard rock from Pearl Jam; Seattle's next big act Mountain Con; A farewell release from Grandaddy; Sweden's colorful pop group The Concretes and more. March 29, 2010  On this edition of All Songs Considered, Jonsi talks about his new solo album, Go, and shares some of the songs that have helped shape his own music. 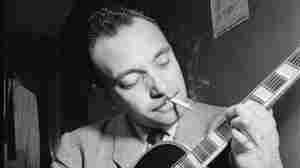 May 7, 2008  Decades after the death of Django Reinhardt, his music is flourishing and evolving in Roma musical communities all around the world. Hear an interview with Michael Dregni, author of a new book on Gypsy swing. December 4, 2008  Exhilarated and a little homesick at the end of a three-week U.S. tour, Dorado Schmitt and his band swing hard and play loose. The air dances at this Django Reinhardt Festival at the Kennedy Center Jazz Club, featuring two French guitarists, a violinist, a squeeze-box man and a bassist. 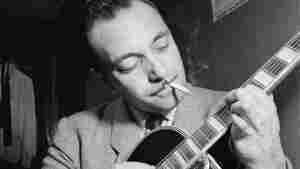 December 8, 2004  Django Reinhardt is a legend of jazz guitar whose shadow still looms over performers 50 years after his death. A new book sheds light on the life of Reinhardt, who rose to stardom in just 43 years. 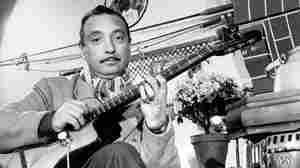 August 1, 2001  Django Reinhardt was burned in a fire when he was 18 and lost the use of two fingers. Yet he managed to rise to the top of the jazz world. The Classic Early Recordings allows us to hear Reinhardt in his early years, when his unique gypsy flamenco guitaring was just becoming popular in the United States. October 2, 2000  Two very different musical personalities contributed to the timeless jazz standard, dedicated to the giant of gypsy jazz. 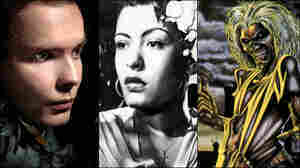 November 24, 2008  Manouche Jazz, commonly known as "Gypsy Jazz," is a blend of traditional Roma music and swing jazz. Originating in Paris in the early 1930s, it was first popularized by guitarist Django Reinhardt and violinist Stéphane Grappelli. Hear five songs from the genre's founders and modern jazz musicians.